IRAN WINNER OF IRAQI WAR? HOW COULD AXIS OF EVIL NATION POSSIBLY ENGINEER DEFEAT OF MIGHTY USA? Title: IRAN WINNER OF IRAQI WAR? HOW COULD "AXIS OF EVIL" NATION POSSIBLY ENGINEER DEFEAT OF MIGHTY USA? Subtitle: A key to understanding that Iran just emerge as the winner of the Iraqi War, you just have to look at the actions of the Iraqi officials who would be left running a broken country once Coalition Forces withdraw. These officials are reaching out to some a very interesting nation -- Iran. March - April, 2003, was a very interesting time. On March 20, President Bush ordered the invasion of Iraq to begin. Coalition Forces, led by America and Great Britain, poured across the southern border of Iraq - Kuwait. Three weeks later, Saddam Hussein ordered a strategic retreat instead of battling for Baghdad, and his army melted away. Shortly thereafter, American troops were pulling down the statue of Saddam and the country exulted in the glee of "victory". On May 1, 2003, President Bush announced that hostilities were at an end. President Bush's strategy of "Regime Change" in Iraq had achieved its first stage; now, with "hostilities at an end", President Bush was ready to begin the more difficult second stage, which was the rebuilding of the country and the transformation into a "democracy". At the same moment that Coalition Forces were crossing into Iraq, Iranian diplomats were flying all over the Middle East, landing in various Arab capitols, carrying their plan to defeat the American "Great Satan". We covered this strategy in NEWS1910, but we wish to quote just a portion of it here. You can determine which country's strategy is working and which one is failing, as you read Iran's original strategy and compare it with current news events. You may even conclude that Saddam's strategic withdrawal from Baghdad occurred because he was following the Iranian plan by which the Arabs were going to defeat the Americans! 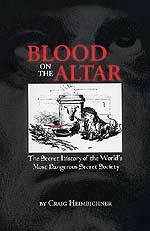 "'The American Great Satan will never accept an Islamic system. It is coming to Iraq to complete its encirclement of our Islamic Republic before it moves against us. To help the Americans conquer Iraq easily would be suicidal for our revolution.' [Khamenei"s chief foreign policy adviser, former Iranian foreign minister Ali-Akbar Velayati]. Velayati claims that the US has two aims in the Middle East: preventing the destruction of the 'Zionist entity' and control of Arab oil." When you think back through the past two years of Daily News Updates, you be shocked to realize that Iran's strategy has worked very well in Iraq and Afghanistan. Coalition Forces are totally bogged down in Iraq with no hope of victory in sight. In fact, our military situation has so deteriorated that American commanders are openly talking about a severe reduction in troop strength by Spring, 2006, provided certain conditions are met, i.e., that the insurgents restrict their attacks so that the "democratically elected" Iraqi government can appear to be governing in its own, and protecting its own, and provided that American troops are not attacked regularly. If this sounds like the same thinly-veiled excuse we used to get out of Vietnam, you would be absolutely correct. While there is no conflict in Azerbaijan, there is turmoil throughout that entire Caucasus Region -- how much of that turmoil has been caused by Iranian agents operating according to this plan? We may never know, but we do know that Defense Secretary Rumsfeld has been flying to countries through the Caucasus to try to convince them that they should allow American bases in their countries to remain. Just yesterday, one country, Uzbekistan, ordered the American base in their country to close. "WASHINGTON — Uzbekistan formally evicted the United States yesterday from a military base that has served as a hub for combat and humanitarian missions to Afghanistan since shortly after the Sept. 11 attacks, Pentagon and State Department officials said. In a highly unusual move, the notice of eviction from Karshi-Khanabad air base, known as K2, was delivered by a courier from the Uzbek Foreign Ministry to the U.S. Embassy in Tashkent ... The message did not give a reason. Uzbekistan gave the United States 180 days to move aircraft, personnel and equipment ... Defense Secretary Donald Rumsfeld returned this week from Central Asia, where he won assurances from Kyrgyzstan and Tajikistan that the United States can use its bases in those countries for operations in Afghanistan ... In May, however, Pentagon spokesman Bryan Whitman called access to the airfield "undeniably critical in supporting our combat operations" and humanitarian deliveries. The United States has paid $15 million to Uzbek authorities for use of the airfield since 2001." Do we tally one big victory for Iran? 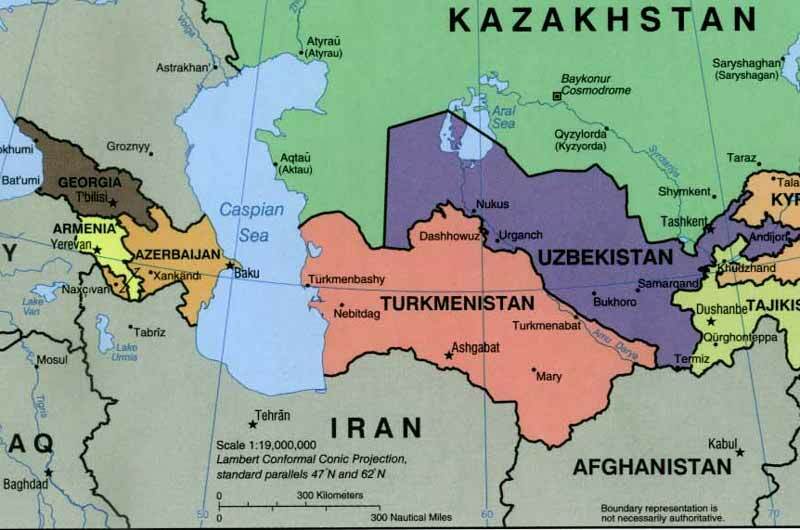 The United States can operate without any one single base in this region, but if the other countries in the Caucasus Region copy the Uzbekistan move, the American military might not be able to mount the kind of air power over Afghanistan it has gotten used to maintaining. Our entire base of operations throughout the region might take a severe blow. Once the Americans begin to seriously withdraw, Iraqi leadership -- both civilian and military -- will be left to face the insurgency without American firepower and manpower. Since top officials have already been assassinated, some without their homes, these Iraqi leaders must cultivate a very powerful friend which shall protect them from the insurgency. Are Iraqi leaders currently turning toward any single nation? Yes, they most assuredly are! They are turning strongly to Iran -- and Iran is reciprocating? "Hamstrung by the Iraq debacle, all Bush can do is gnash his teeth as the hated mullahs in Iran cozy up to their co-religionists in Iraq. Iraq's new government has been trumpeted by the Bush administration as a close friend and a model for democracy in the region. In contrast, Bush calls Iran part of an axis of evil and dismisses its elections and government as illegitimate. So the Bush administration cannot have been filled with joy when Iraqi Prime Minister Ibrahim al-Jaafari and eight high-powered cabinet ministers paid an extremely friendly visit to Tehran this week." "The two governments went into a tizzy of wheeling and dealing of a sort not seen since Texas oil millionaires found out about Saudi Arabia. Oil pipelines, port access, pilgrimage, trade, security, military assistance, were all on the table in Tehran ... Jaafari's visit was a blow to the Bush administration's strategic vision ... The Iraqi prime minister was attempting to break out of the box into which his government has been stuffed by the Sunni Arab guerrilla movement. Jaafari's government does not control the center-north or west of the country and cannot pump much petroleum from Kirkuk because of oil sabotage. Trucking to Jordan is often difficult. The Jaafari government depends heavily on the Rumaila oil field in the south, but lacks refining capability. Iraq lacks a deep water port on the Gulf and needs to replace inland "ports" like Amman because of poor security. An initiative toward the east could resolve many of these problems, strengthening the Shiites against the Sunni guerrillas economically and militarily and so saving the new government." Believe me, "saving the new government" is the order of the day for Prime Minister Jaafari! If he can save his government, he can likely save his life. Conversely, if he cannot save his government, he will likely forfeit his own life! Now, you must admit, that is motivation! You see, Prime Minister Jaafari can see the "handwriting on the wall"; he can see that the Americans are likely to leave the country without first destroying the insurgency -- a force he knows his ragtag army and police forces can never withstand. Therefore, which nation does the vulnerable Iraqi Prime Minister believe will likely prevail throughout the region once America leaves? Since he has been fawning all over Iran during these past few weeks, it seems obvious that he has placed his bet on Iran. Let us now examine some individual news stories which tell the full story of how completely Iraq is turning toward Iran. "AFP, TEHRAN -- The security and stability of Shiite-dominated Iran and Iraq is intertwined and Tehran will work to curb the violence in its war-ravaged neighbor, Iran's president said after meeting Iraqi Prime Minister Ibrahim al-Jaafari on Sunday. Iranian President Mohammad Khatami on Sunday hailed a 'turning point' in relations with Baghdad as Iraqi Prime Minister Ibrahim al-Jaafari made a historic visit to Tehran aimed at strengthening ties after decades of enmity ... 'Putting security and stability in place in Iraq will benefit all the countries in the region', he (Jaafari) added." Can you imagine Iraq turning to "Axis of Evil" Iran for help in establishing "security"? I thought the Americans were in sole charge of training and equipping the new Iraqi security and police forces! Unless Iran plans to allow Prime Minister Jaafari to live once the Americans are gone, this kind of deal is literally like asking the fox to guard the chicken coop. "Iran to rehabilitate Najaf airport, upon a request made by high ranking Iraqi officials visiting Tehran in a visit since former Iraq dictator Saddam Hussein overthrow ... Tehran plans to renovate and change Najaf airport for non-military purpose, Iran's Civil Aviation caretaker Rezaie-Niaraki told the state-radio on Monday. The move is ignited upon a plea made by Iraqi officials..."
Once again, you have to wonder why the Americans are not renovating the Najaf airport; surely, with all the multi-billions of dollars we have poured into Iraq for "rebuilding" and with all the extra money contributed by the various "donor nations", Iraq should have all the money they need to rebuild Najaf airport. One can only wonder if Iran will control the flow of monies for this project in such a way that local Iraqi officials cannot steal it. "LONDON, July 25 (IranMania) - Iran is ready to contribute to reconstruction and renovation of Iraq's petrochemical facilities, said Deputy Oil Minister Mohammad-Reza Nematzadeh. Nematzadeh, also president of National Petrochemical Company (NPC) of Iran, told reporters that negotiations are underway with Iraqi officials to reconstruct Iraq's damaged petrochemical industries, according to IRNA. Braving ongoing insecurity in Iraq, Iran is ready to play a role in reconstruction of Iraqi petrochemical industry, said Nematzadeh, adding that Tehran would be happy to see economic development of Iraq and growth in the economic transactions and promotion of the country's technological standards." Now that Iran is going to "reconstruct" and "renovate" Iraq's petrochemical facilities, will the Iraqi insurgency refrain from destroying the pipes and the oil storage units and the processing equipment, as they have regularly done since Summer, 2003? Since it seems highly likely that Iran was controlling and directing the Iraqi insurgency, they can then shut off the attacks whenever they want to do so. After America leaves Iraq, will her oil flow smoothly and near capacity? "LONDON, July 22 (IranMania) - Iran's Minister of Industries Es'haq Jahangiri said that Iran is ready to contribute to reconstruction of Iraq's industries. 'Iran's industrial and mineral industries are ready to launch joint ventures in any field necessary in light of government's support', Jahangiri told his Iraqi counterpart Osama Abdulaziz al-Najafi ... LONDON, July 22 (IranMania) - Iran's Minister of Industries Es'haq Jahangiri said that Iran is ready to contribute to reconstruction of Iraq's industries. 'Iran's industrial and mineral industries are ready to launch joint ventures in any field necessary in light of government's support', Jahangiri told his Iraqi counterpart Osama Abdulaziz al-Najafi ... Agreements on cooperation in certain infrastructural activities such as banking and insurance services are to be reached during Iraqi Prime Minister Ibrahim Jaafari's Tehran visit next week." Iran is rebuilding Iraqi factories, cement plants, industrial and mineral industries, "certain infrastructural activities such as banking and insurance services", airports, petrochemical facilities! Can you see the "handwriting on the wall" for the American war effort? After two full years of successfully fighting a guerilla war against Coalition Forces, using Iraqi insurgents buoyed by foreign fighters, Iran seems to be now stepping forward to implement the next stage, i.e., drawing the new Iraqi government into Iran's regional "Sphere of Influence". Meanwhile Iraqi Prime Minister Jaafari -- he is just trying to stay alive. 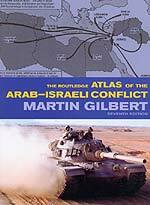 As America withdraws, as Israel expects her to do in 2006, the Regional War which Iran has planned can then occur. But, at that point, Israel will have separated the Jewish population from the Palestinian (NEWS1422) and will be ready to go to war. Israel is not likely to adopt the losing tactics the Americans have for the past two years. Plus, it will be time for Michael the Archangel to "stand up" to defend Israel (Daniel 12:1). Truly, the world is marching toward the End of the Age. Are you spiritually ready? Is your family? Are you adequately protecting your loved ones? This is the reason for this ministry, to enable you to first understand the peril facing you, and then help you develop strategies to warn and protect your loved ones. Once you have been thoroughly trained, you can also use your knowledge as a means to open the door of discussion with an unsaved person. 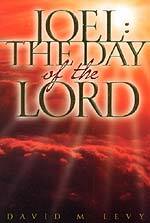 I have been able to use it many times, and have seen people come to Jesus Christ as a result. These perilous times are also a time when we can reach many souls for Jesus Christ, making an eternal difference.